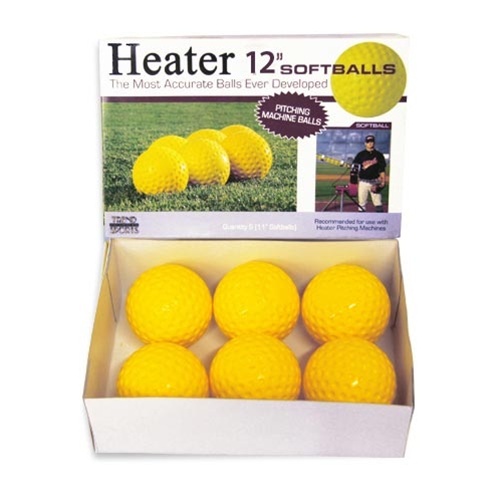 Heater 11” and 12" dimple softballs are a great choice for pitching machine softballs including Heater Softball and Combo Pitching Machines. These balls are optic yellow in color, made from durable polyurethane, and pitch with pinpoint accuracy. Perfectly molded at the factory, Heater softballs are consistently accurate.